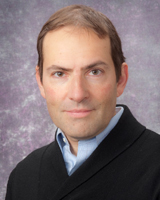 Dr. Novelli’s research has focused on the mechanisms underlying vascular dysfunction in SCD via three main projects: 1) Dr. Novelli has explored the role of the protein thrombospondin-1 in SCD. He has found that elevated plasma levels of TSP1 in several large cohorts of patients with SCD are associated with vaso-occlusive complications and identify a subset of patients who display hemostatic activation and have a more severe phenotype. In translational studies presented as podium talk at the American Society of Hematology Annual Meeting he also found TSP1 to cause pulmonary hypertension in transgenic mice by binding to its receptor CD47. 2) Another line of research has focused on the characterization of arterial stiffness as a mechanism of vascular dysfunction in SCD. Dr. Novelli has discovered a new link between hemolysis and arterial stiffness by showing that hemolysis is independently associated with arterial stiffness measured by pulse pressure in a large cohort of SCD patients. This discovery is of high clinical relevance as it suggests that elevated hemolysis rates encountered in a subset of SCD patients may lead to an increased risk of vascular complications; 3) Most recently, Dr. Novelli has turned his attention onto the cerebral vasculature in SCD in an effort to elucidate SCD-related cognitive impairment. He has discovered a neuroimaging marker of small vessel disease associated with cognitive function in SCD. Novelli EM, Sarles CE, Aizenstein HJ, Ibrahim TS, Butters MA, Ritter AC, Erickson KI, Rosano C. Brain Venular Pattern by 7T MRI Correlates with Memory and Hemoglobin in Sickle Cell Anemia. Psychology Research: Psychiatry Research. 2015; 233(1): 18-22. Novelli EM, Hildesheim M, Rasano C, Vanderpool R, Simon M, Kato GJ, Gladwin MT, MD. Elevated pulse pressure is associated with hemolysis, proteinuria and chronic kidney disease in sickle cell disease. PLoS One. 2014; 9: 12. George MP, Novelli EM, Shigemura N, Simon MA, Feingold B, Drishnamurti L, Morrell MR, Gries CG, Haider S, Johnson BA, Crespo MM, Bhama JK, Yousem SA, Toyoda Y, Campion HC, Pilewski JP, Bermudex C, Gladwin MT. First successful lung transplantationfor sickle cell disease with severe pulmonary arterial hypertension and pulmonary veno-occlusive disease. Pulmonary Circulation. 2013; 4: 952-8. Cheng L, Yang Y, Leung W, Ramirez M, Tanavde V, Enger C, Civin CI. Ex-vivo culture of cord blood CD34+ cells expands progenitor cell numbers, preserves engraftment capacity in NOD/SCID mice, and enhances retroviral transduction efficiency. Human Gene Therapy. 1999; 10(18): 2927-40. Novelli EM, Ramirez M, Leung W, Civin CI. Human hematopoietic stem/progenitor cells generate CD5+ B Lymphoid cells in NOD/SCID mice. Stem Cells. 1999; 17(5): 242-52. Novelli EM, Huynh C, Gladwin MT, Moore CG`, Ragni MV. Pulmonary Embolism in Sickle Cell Disease: A Case-Control Study. Journal of Thrombosis Haemostasis. 2012; 10(5): 760-6. Novelli EM, Kato GJ, Hildesheim ME, Barge S, Meyer MP, Lozier J, Hassett AC, Ragni MV, Isenberg JS, Gladwin MT. Thrombospondin-1 Inhibits ADAMTS13 Activity in Sickle Cell Disease. Haematologica. 2013; 11: 132-4.